The role of the Chief Information Officer has undergone a profound transformation in the last few years according to a recent round table discussion held in Toronto facilitated by Jim Love, CIO of IT World Canada and sponsored by HP Canada. As organizations increase their adoption of cloud services, the role of the CIO is becoming more business focused. As one CIO quipped during our discussion “someday I’m more of a lawyer than a CIO.” This new focus is in addition to and does not negate the CIO’s responsibility for support, for “fighting fires” and for maintaining the security of the systems and data of the organization. 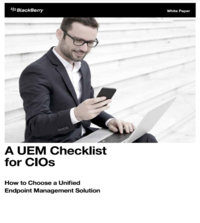 In the middle of all this, many CIOs find themselves left out of the loop – bypassed by line-of-business managers taking it upon themselves to pick out and deploy technologies from a vast array of Software-as-a-Service and cloud options. The challenges posed by this “business bypass” and how to deal with them was the main topic of the recent Canadian CIO Executive Roundtable session in Toronto titled Hybrid IT: The solution to business bypass. A key way to deliver this agility is cultural rather than technical. CIOs must find ways to help teams collaborate to continuously deliver new value to customers. CIOs left out of the discussion and decision making – Many CIOs are too far down on the reporting line to be “in the loop”. They are called upon to implement but not to help develop strategy. Line-of-business bypassing CIO in IT purchases – In today’s Software-as-a- Service (SaaS) world, LOB execs can purchase software on a credit card – and they often do. This last point is not just the CIO trying to protect their territory. The issue is that business purchasers don’t have the experience in software purchase and as a result can make some serious mistakes. Software is chosen that doesn’t integrate with other systems. Or there is missing functionality that while seemingly minor in nature, prevents the full use of the system. Lastly, business purchases often lean toward the industry leader and miss other alternatives. One CIO noted that their organization had purchased Salesforce.com rather than a competitor. The problem was that although Salesforce is the largest vendor, they would not be able to handle the particular needs of the business. Fortunately, when the CIO got wind of the decision he was able to show that his department’s research had identified a more appropriate competitor. In this case, there was a happy ending and a very successful implementation. Unfortunately, many CIOs find out too late or cannot convince business managers that software purchase is a difficult and multi-faceted discipline. 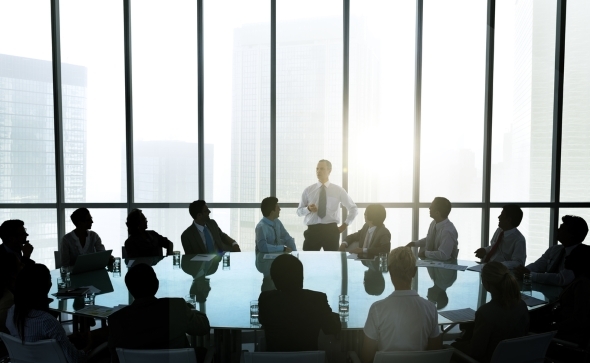 The degree of influence that the CIO has is important for the organization. In companies where the CIO has marginal authority, the IT department is effectively prevented from realizing its potential and providing more meaningful contributions, according to a participant. Having a strong IT voice at the boardroom table is also vital in developing an overall corporate strategy, said another CIO. These situations place strain on IT teams which need to monitor and support multiple and disparate systems. That in turn takes resources that could be more usefully applied to efforts using technology to transform the business. When the majority of your resources go to maintaining legacy systems it’s difficult to fund new strategic uses of technology. If your new initiatives make this situation worse, a vicious cycle drags down IT and organizational performance. One solution to this trap comes from the concept of hybrid IT. Hybrid IT is seen as a way to help CIOs cut complexity by allowing IT departments to leverage both in-house and cloud-based solutions, said Atkinson. With hybrid IT, some IT resources are provided for and managed in-house and others are sourced through cloud-based services. This hybrid allows organizations to add capacity and new functionality by leveraging cloud resources. “For example, the HP Haven big data platform enables organizations to collect, index and gain insights from data not only from enterprise data centres but other sources as well, said Atkinson. This functionality can be rapidly deployed and scaled up or down to accommodate the changing needs of the business. The net result is that IT has a greater capability to quickly meet business demands. This speed of deployment and ability to rapidly scale up and down enables organizations to really use agile methods of delivery which in turn leads to positive results for the organization – early delivery of solutions and more flexible responses to change. The result is a win-win. Organizations are able to focus on growth and leverage cost savings and efficiencies to help pay for that growth. Instead of the vicious cycle of legacy IT, organizations can start to transform themselves into strategy partners enabling the business transformation which is needed in today’s hyper-competitive environment.